You are here: Home / Photographers / NEW YEAR’S EVE IN VEGAS…NOTHING BETTER! A hugely popular NYE event in Las Vegas is America’s Party Downtown at Fremont Street Experience. Featuring four stages with 12 bands including an EDM stage, the premier of a new Viva Vision light show from Vegas’ own The Killers, onstage pyrotechnics. This bomb party is the only party that features Las Vegas Mayor, Carolyn Goodman! Some of the very best parties in town are at Las Vegas’ many award-winning nightclubs. From Tao and Marquee to Drai’s Nightclub & 1Oak Las Vegas, the stars will be out in full force in these high energy nightclubs on New Year’s Eve. Las Vegas produces one of the best firework displays in the world. There are many places to get the best view of this one-of-a-kind display. The High Roller is one of the most unique and romantic places to watch the show. The Eiffel Tower at Paris Las Vegas is another awesome place to view the fireworks. Omnia Rooftop at Caesars Palace is another fantastic option for the best viewing. All of these are perfect, but don’t forget the good ole’ pedestrian bridges on the famous Las Vegas Strip. These are just a few unique and cool ideas for the best viewing of the NYE Fireworks Show in Vegas! 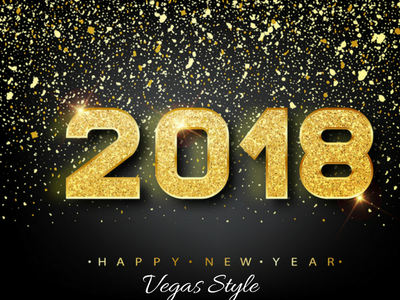 So, for those of you who want to make New Year’s Eve 2018 one of the most memorable moments of the year, experience this amazing holiday Las Vegas Style!